Blueberry Flax Seed Muffins - My New Fave. Seven years ago we left Cape Cod for our gypsy adventure. We sold the sofa, kitchen table, and boxes of cookbooks. We recycled toys and jeans and an old PC. The open road was calling. And we listened. The western sky hung big and blue above the high desert arroyos of New Mexico. It felt as deep and wide as an ocean. We thought this signaled home. But I missed the sea more than I ever could have guessed. So we moved to Los Angeles and tried on four different neighborhoods in as many years. I grew adept at packing and shedding and shelved my books by color. I luxuriated in each and every hour spent with my two grown sons. A gift, each shared coffee date. Movie night. Christmas dinner. But the city of Los Angeles was never my home. Its entertainment culture felt as walled off to me as the adobe and iron gates in Santa Fe. I felt invisible. And irrelevant. And undernourished. My feminine soul was starving. And so I turned my gaze East again. It somehow felt right. And I found us a temporary nest, an antique barn studio in a post card worthy Connecticut village where I had lived as a child. Here, I paint. I write. I bake blueberry muffins. I listen to rivers curving through woods. I inhale the fog. It smells like pine. It is quiet here. And the pace is more to my liking. But it is not by the sea. I cannot walk the flats at low tide. I have no place to hang sheets in the ocean breeze. Believe it or not, the coast is calling. Like the long and winding road that tugged me West, and pulled me East, the tidal rhythms of living by the sea are infusing my dreams with the colors of ocean glass and bay side creeks. There is sand in my boots from our trip to San Diego and I cannot bring myself to shake it out. I've been looking up rentals in Ventura County. If you are a fortune teller, adept at reading signs, speak now or forever hold your peace. Updated. 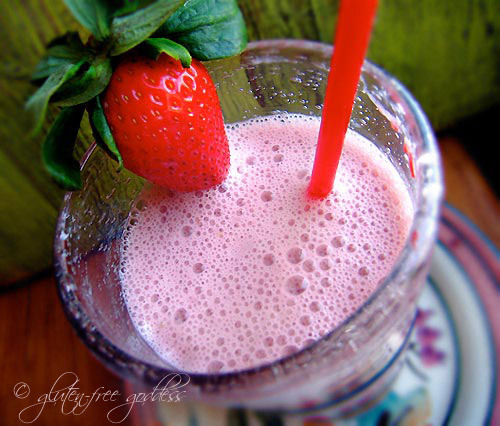 Original recipe posted April 2013 by Karina Allrich. 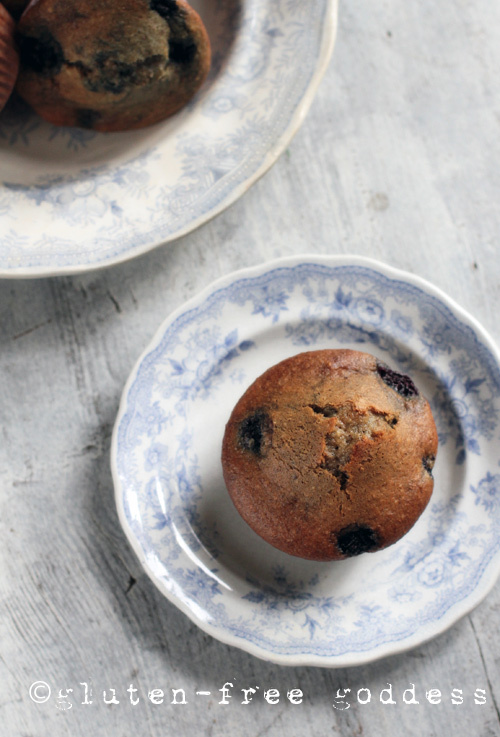 We used fresh organic blueberries in these wonderful, fragrant flax muffins. You could also use frozen blueberries- but keep your eye on the baking time (frozen berries make a colder batter). Use a cake tester to test the center for doneness. Preheat the oven to 350ºF. Line a 12-muffin tin with paper liners- this recipe makes 14 muffins, so you'll need two extra paper liners. In a large mixing bowl, whisk together the almond flour, sorghum flour, potato starch, flaxseed meal, brown sugar, baking powder, baking soda, xanthan gum, sea salt, and cinnamon. Add in the canola oil, eggs, non-dairy milk, and vanilla and beat to combine. Continue beating for 2 minutes until the batter is smooth, and moist, akin to thick cake batter. Using a spoon, drop the batter into the 12 muffin cups and smooth out tops with wet fingers. Bake in the center of the oven for 25 minutes, until domed and golden brown. Insert a cake tester to make sure the centers are cooked through. Note* Cover the muffin pan loosely with a piece of oil for the last five minutes of baking to keep the tops from browning too much. Cool on a wire rack for five minutes or so, then turn out the muffins to continue cooling on the rack. Repeat with the remaining batter to make 2 more muffins. We ate our blueberry flax muffins warm and slathered with vegan butter. 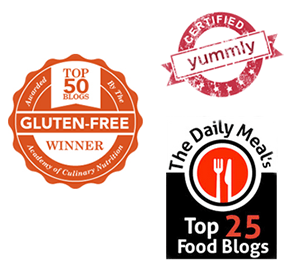 I have also shared a wonderful coconut infused Blueberry Muffin here. 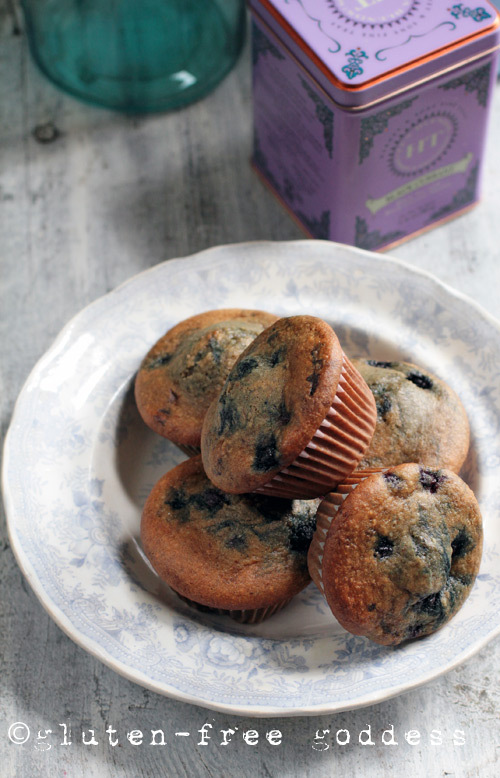 A classic gluten-free Sour Cream Blueberry Muffin here using gluten-free pancake mix. 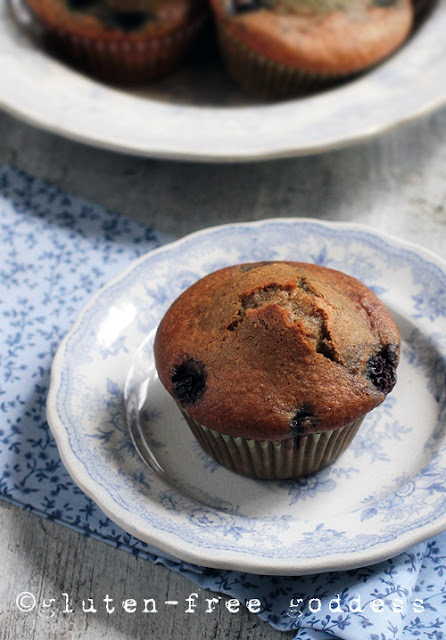 Egg-free, vegan Blueberry Muffins with Almond Flour here. 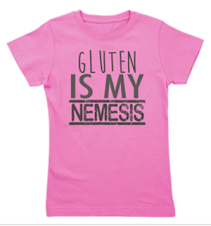 Gluten-Free Blueberry Corn Muffins here.